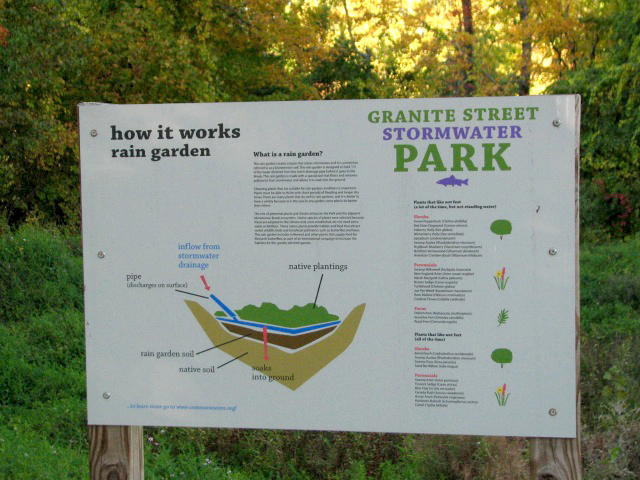 For this project, a parcel of land adjacent to the Monoosoc Brook was developed as a public park to capture and treat storm water runoff from a medium density neighborhood within the19-acre watershed. The existing ‘end of pipe’ storm water system was diverted from the brook equally to three treatment areas: an infiltration trench, a bio-retention basin and a gravel wetland. 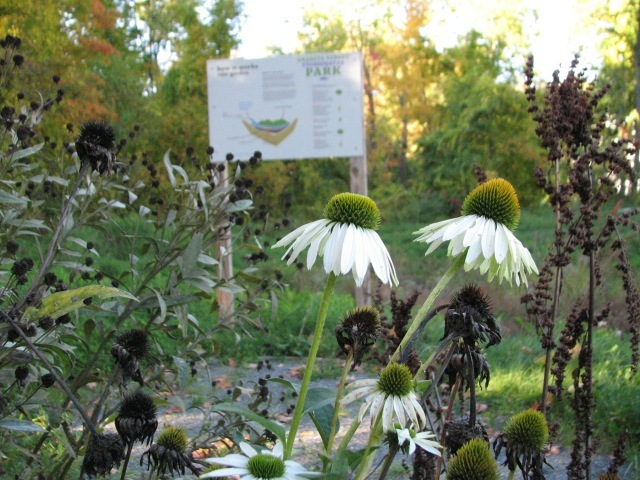 Coyle & Caron developed a planting plan with native species adapted to site conditions including drought and inundation. Connections from nearby neighborhoods were planned so visitors can experience the park and observe treatment areas. Interpretive signage by Haber-Schaim Art and Design is designed to inform visitors in a fun and engaging way about what storm water is and how they can make a difference to their local environment. Collaborators include: Michael Clark, Civil Engineer and Tamar Haber-Schaim.